The first Roman publishers emerged during the first century BC. Book merchants paid teams of slaves to copy out selected manuscripts. These were then sold in shops. There was no copyright law in the Roman Empire and so publishers did not have to pay money to the author of the book. The only way writers could make a good living out of their work was to be sponsored by a wealthy Roman. The patron, as he became known, would often control what the author wrote about. The writer also had to give readings of his work to the patron's friends at parties. Roman emperors were aware of the influence that writers could have and most of them tried to control what was available. Bookshops were often raided and books that were considered to be undesirable would be destroyed. 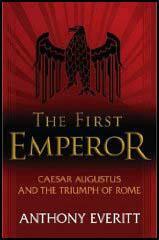 Emperor Augustus even had private houses searched for books that he did not like. Historians were considered to be particularly dangerous. Emperor Domitian had the historian Hermogenes of Tarsus executed for writing books that he disapproved of. As well as destroying all the books written by Hermogenes, he also killed all the slaves who had done the copying. Writers always had to be careful what they wrote about powerful people in Rome. The punishment for libel (an insulting statement that the courts decided was untrue) was death. As the writer Juvenal pointed out, the best thing to do was to wait until someone died before you criticised them. The first books published in Rome looked very different from those of today. They took the form of a long roll of papyrus consisting of about 20 sheets glued together. These volumen, as they were called, were both difficult to read and easy to damage. If exposed to the damp the papyrus rotted, and the ink made from soot, resin and the black liquid from cuttlefish, would begin to fade. Insects liked eating papyrus so books had to be stored in boxes. In about AD 365 Romans began to make books of parchment (skins of animals). The sheets were folded and sewn together and looked much more like modern books. However, parchment was expensive and few people could afford them. Most major cities in the Roman Empire had public libraries. By the 4th century AD Rome had 28 large libraries where citizens could go and read books free of charge. The books that appeared in the libraries were selected by government officials called prefects. In this way the government could control the information they wanted to be preserved. If a man makes wicked verses against another the law and the courts await him. Laena (under instructions from Antony) cut off Cicero's head... 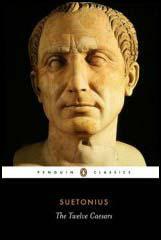 He also cut off the hand with which Cicero had written his attacks on Antony... The head and hand of Cicero were suspended for a long time from the rostra in the forum where formerly he had made speeches. The Senate ordered his books to be burnt by the aediles. But they survived, first hidden and later republished... the stupidity of people who believe that today's authority can destroy tomorrow's memories. That you may not be ignorant where I am to be bought and wander in uncertainty over the town, let me guide you to where you may be sure of obtaining me. Seek Secundus... behind the Temple of Peace and the Forum of Pallas. Even Britain is said to sing my verses. Yet what do I gain by it? My purse knows nothing of my fame. Our predecessors, wisely handed down their ideas so they should not perish. Published in book form, they... provide an accurate body of knowledge... If they had not done so, we would not have known about history... and the rest. Most men wish praise, and no one enjoys criticism. Worse than this... he prefers to be deceived by false praise than healed by criticism. It is suspected that everything is said and done with references to the wishes of the men in power. 1. Explain why writers were very reluctant to criticise rich and powerful people in the Roman Empire. 2. The Romans provided large libraries for their citizens which allowed them to read books free of charge. Explain the different reasons why the which authorities provided these libraries. 3. Do you agree with Tacitus' comment in source 3 that people in power were stupid to try and "destroy tomorrow's memories"? If the Roman authorities were successful in destroying books that they did not like, how would this influence the history books that have been written since the end of the Roman Empire?